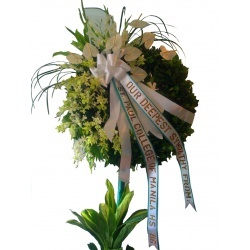 Nothing is more rewarding for us Philippine Florists than reading the emotional testimonials sent by happy and obviously satisfied customers of our flower shop. Their stories share with us their experience in buying rose bouquet and vase flowers and chocolate gifts on the Florabella web site to send to their loved ones in the Philippines. Most of them remark how extraordinary it is that they have the ability to connect with their dear family even if they are on the other half of the world. Some also remark about the wonderful selection of various flowers and gifts to choose from. Rose flowers are still the most popular flowers chosen by our customers. 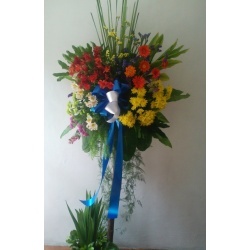 They like to send roses in vase, rose flowers in box, bouquet or even in baskets. We advise foreign men customers that their Filipina girlfriends would be very happy to receive a dozen red and white roses (and these are available in various arrangements, too). These customer recount how happy and satisfied they are with the prompt and timely delivery of rose flowers to their mother, wife or girlfriend in the Philippines.